A Taste of Greece with Kampos Cretan Products + Giveaway! Oh Greece how I love and miss you! My dreams came true last fall when I embarked on my greatest adventure yet, visiting one of the world's most charming and unique countries. You can read all about my picturesque travels here. I also (naturally) shared some of the beauty products I couldn't resist bringing back with me. Although that beautiful glow I soaked up while in the Mediterranean is long gone now (thank you uber-cold and sunless Canadian winter), I have managed to keep my skin looking and feeling smooth and smelling delicious thanks to my cherished Greek skin care. 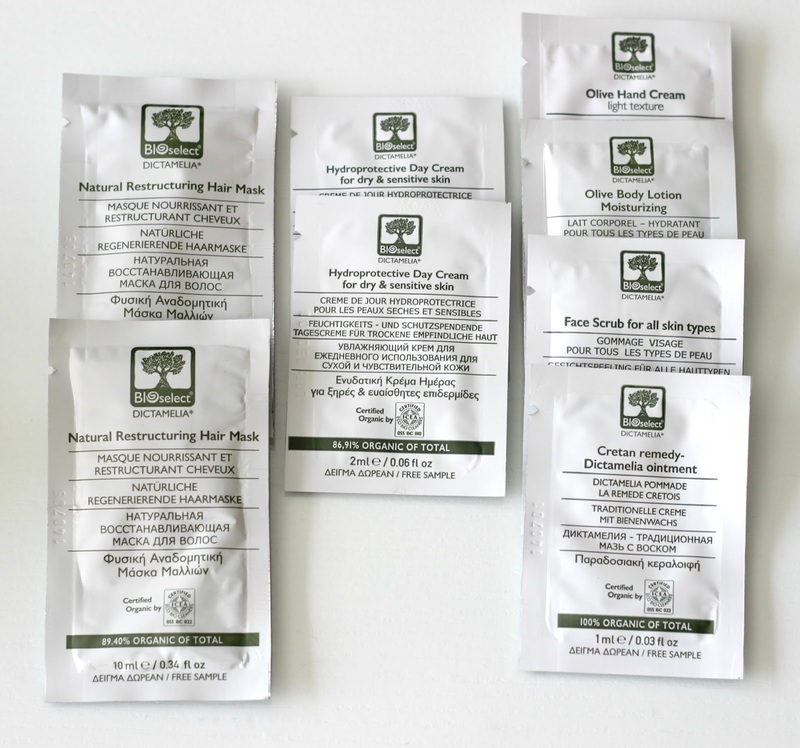 My stash has recently grown after receiving a handful of goodies from Kampos Cretan Products*, an online shop selling a variety of traditional Cretan and Greek personal care items. Despite not having had the chance to visit this historic island, we were informed in Santorini that the majority of their beauty products and olive oil are imported from Crete due to a combination of fertile land and favourable climate allowing them to grow olive oil trees on a massive scale. 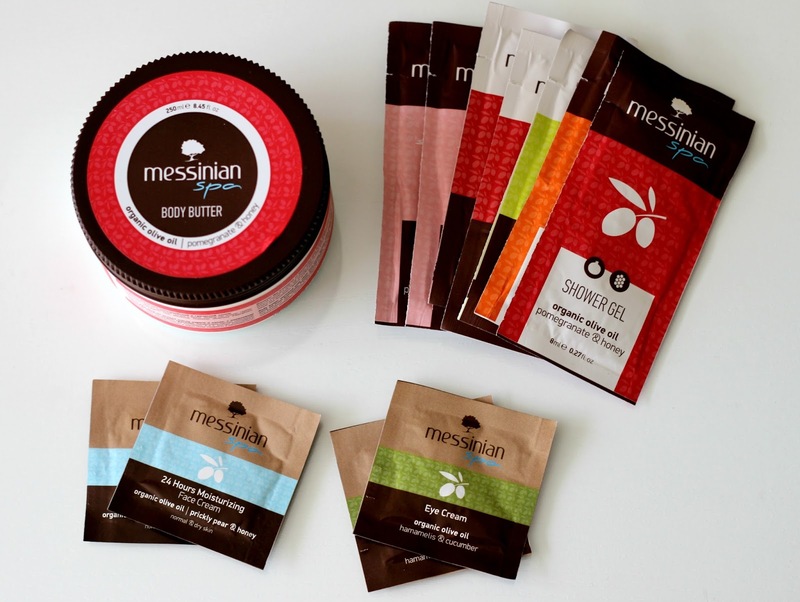 Stay until the end to learn how you can win your own Greek-made products! I brought back a bag full of olive oil soaps for friends and family and quickly used up the few extras I had left, so you can imagine my delight when a new Greek olive oil soap bar showed up! 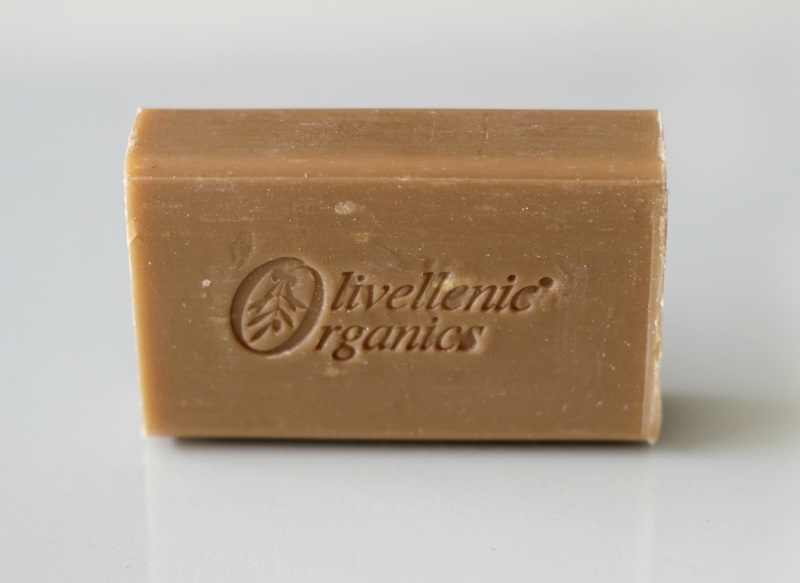 The Olivellenic Organics Olive Honey Soap brought back all the memories of walking into souvenirs shops and smelling nature at its finest. I've been using this natural, handmade soap on both my face and body. It has a very earthy and fresh scent which I personally love. 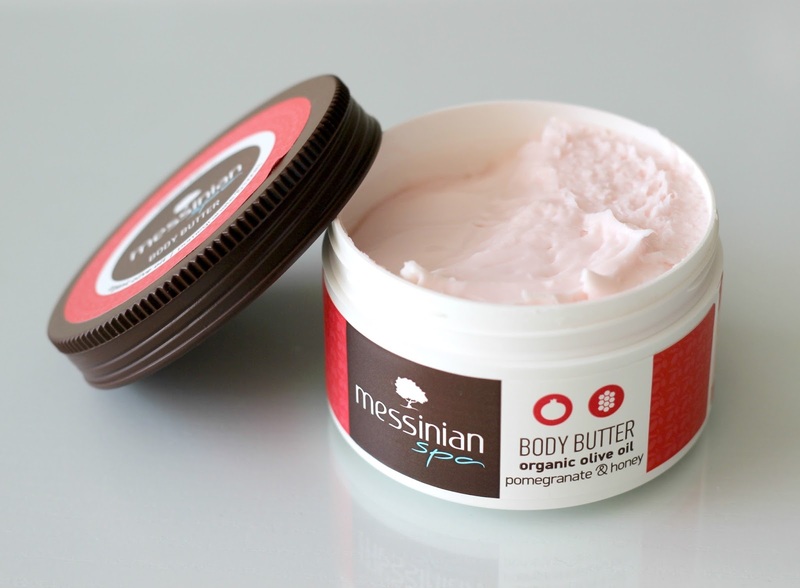 Now onto one of the best-smelling products I have ever tried, this luxurious Messinian Spa Body Butter, made with organic extra virgin olive oil, pomegranate, honey, almond oil, calendula, sea buckthorn and enriched with shea and cacao butter. Packed full of skin loving vitamins and rich ingredients, this thick cream smells like a delicious dessert you would be very tempted to eat. It takes quite a bit of rubbing in because it leaves a white film when first applied, but the extra workout is worth it in the end as your skin will be softer than a baby's bottom. I also received a bunch of sample packs to try out from Messinian Spa including their Lemon and Fig Body Milk, Orange and Lavender Shower Gel and Pomegranate and Laurel Hair Mask (so good!) and also from BIOselect, such as their Face Scrub, Olive Hand Cream, Olive Body Lotion and Natural Restructuring Hair Mask just to name a few. 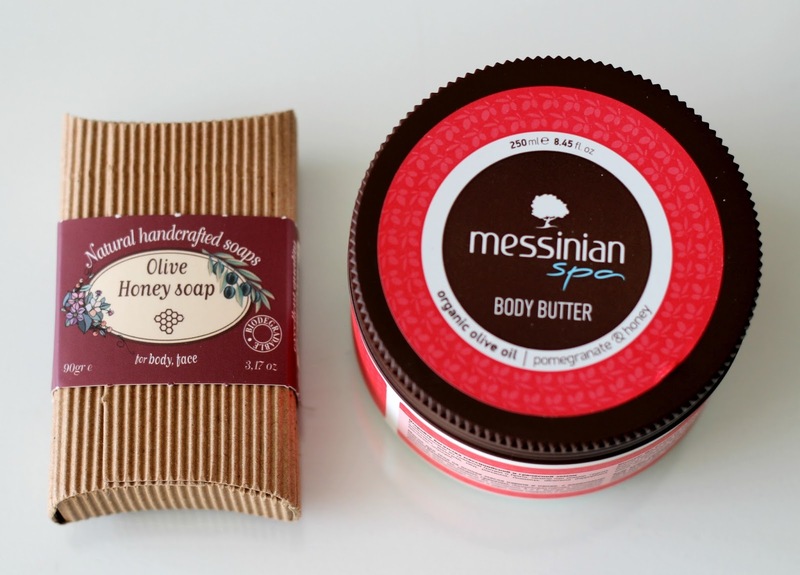 Want to win authentic Greek beauty goodies of your own? Kampos Cretan Products is running a recurring monthly wishlist giveaway - all you have to do to participate is sign up on their e-shop, enter your postal code and add up to five products to your wishlist, that's it! One random winner will be drawn every month, increasing your chances of winning. Initially open solely to EU residents, this amazing giveaway is now open internationally, hooray! For more details and to enter, click here. What Greek product would you most love to try from their online store? Waaw,.. Sounds amazing,.. Thank you for the giveaway info,..